This is the last of the iris for the year! And what a treat it is to see this one this week. This is its first year blooming. I planted it last fall. 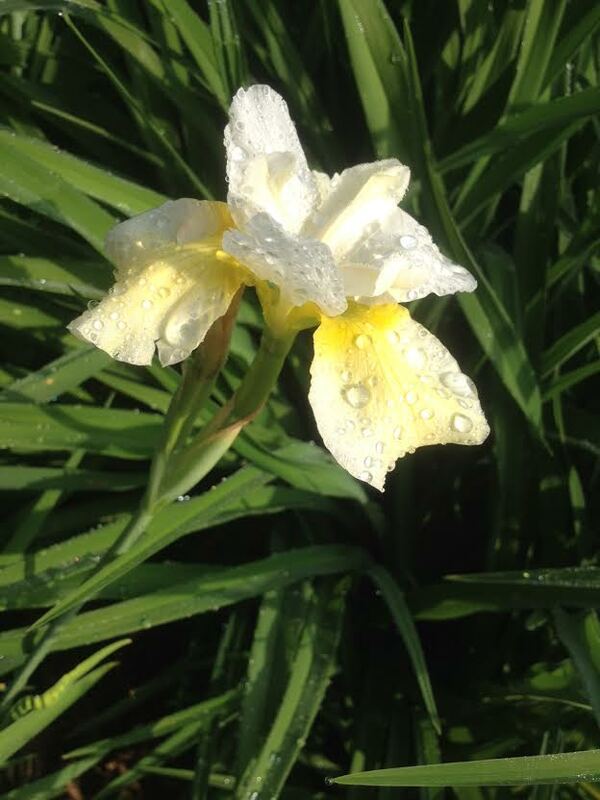 It’s a beautiful pale yellow and white, a smaller daintier flower in the wild variety. It produced three blooms this year and luckily I got a picture of them all at the same time. These photos were taken two days ago after the rain. Now that all my iris are done, what’s next you say? Well, we have a variety of lilies that will be blooming soon but probably not for another week or so. I might try to take a break from all the flower posts for a while, but I do have some other things in the garden to share with you. But for now, this is my last spring season photo. Come back to see what’s blooming in the summer.